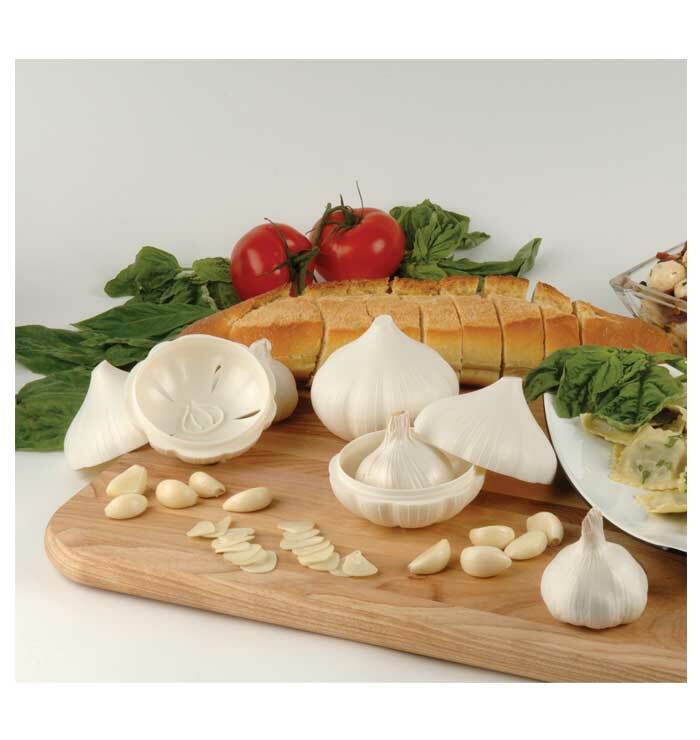 The ideal way to store garlic. 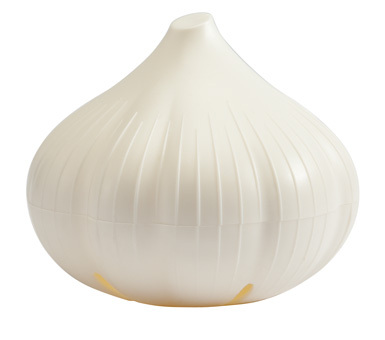 Keeps a garlic bulb fresh for weeks. Two sides attach by twist lock. Dishwasher safe. 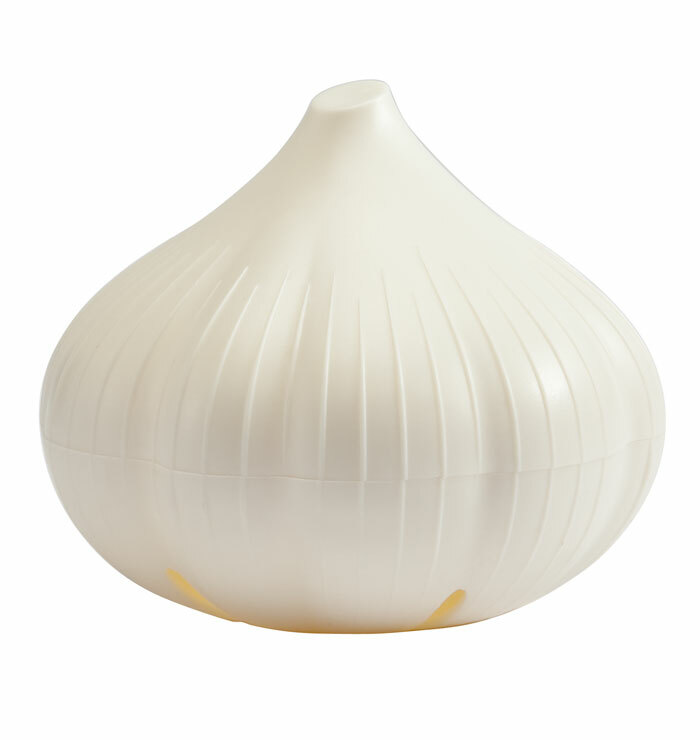 height: 3.3", diameter: 3.7"